To know The Conservative Mind is to know the mind of its remarkable author, Russell Kirk. He was an old-fashioned man—courtly, retiring, serene, formal in dress and manner—whose view of the world, proclaimed by every photograph, was traditional, anti-modern, even obscure. Captured in his study, his library, his home, surrounded by pens, books, family, and friends, he looks every bit the paternalist man of letters, a figure unmistakably of the past. To critics, he was a sort of mid-western Evelyn Waugh, tweedy, fustian, fond of a dram, a contramundum crank. To friends, he was a man who knew the good life and lived it to the full, preaching domestic joys and practicing them with panache. To the unpersuaded, Kirk’s social poise was social pose. By dress and manner, by truculent toryism, he mocked a world he did not understand. To the persuaded, he understood the world too well and wanted nothing to do with it. Certainly his conservatism seemed at times compounded of complaint and cussedness. Mass production and mass consumption, history forgotten, the old ways of faith at a loss: if this was modernity it was not for him. 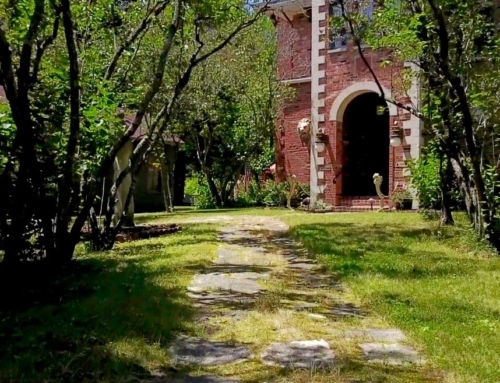 His home at Piety Hill, with its simpler commerce of family life, seasonal change, sacramental connection to the land, was more to his taste. In one sense, critics who dismiss him as a right-wing type, a persona, get the point yet miss it entirely. He played a role he wrote himself, actor and lines in perfect harmony. As for the part, he was proud to call himself Catholic, gentleman, husband, father, a man of letters, friend. These were badges of honor, not (as the psychologizers would have it) social masks concealing some more authentic self. “Manners maketh man” said William of Wykeham in the fourteenth century. The style is the thing itself. Kirk embodied the dictum. Of all men, he was mannerly, courteous, self-consciously gallant. At the heart of that manner, at the core of his private being, was religion. When the pen was laid down and the last letter written, he remained a man of God. Such was the author. What of the book? Here the story is different. If Kirk the Man and Kirk the Manner were one and the same, The Conservative Mind is a volume where appearances deceive. Things are never quite as they seem. It is shot through with irony and surprise, with odd juxtaposition and unexpected insight. In the first place, it is paradoxical: here is a book so old fashioned as to be positively original. The Conservative Mind (perhaps the conservative movement as a whole) is the philosophical equivalent of one of those grandfather shirts that have come into fashion once again: it is so uncool that it is suddenly all the rage. In 1953, even more so today, the book’s anti-modernity was sufficiently complete as almost to be itself modern. It mocks conventions, derides received opinion, strikes dissenting attitudes. Its rejection of the current is itself au courant. The book was also novel in the confidence of its conservatism. In 1953, after a Hitler, an Auschwitz, a war to end war, it required more than usual self-assurance to bring together Edmund Burke and John Adams, Walter Scott and John Calhoun, Cardinal Newman and William Lecky, and to propose that such superannuated worthies had anything to say to a world whose enormities they could never have imagined. The reaction, he surely knew, would be laughter among the chattering classes. (Another irony, by the way: As they talked and talked, those self-same chatterers undermined their own claim that the point of the death camps was that all chatter must cease. The old moral categories no longer hold, they said. God is dead. The Word made Flesh has been incinerated. Speech falls silent, unable to utter the unutterable, name the unnamable. Never has the inadequacy of language been more articulately urged.) How could Kirk’s miscellaneous assembly make sense of Dachau, explain Hiroshima? Yet he persevered with them, offering a new generation old truths. That took elan, a dash of intellectual bella figura. And notice a final paradox. The very dustiness of Kirk’s style marked him as an original. Simply as literature, as mid-twentieth century prose, The Conservative Mind has an oddly Victorian feel: it breathes the language of waistcoat and fob in an age of T-shirt and exposed navel. The authorial voice—gnomic, orotund, erudite, vaguely dyspeptic and world-weary—could pass for Froude or Macaulay, Gladstone or Disraeli. Here was not the received pronunciation of Michigan State University, the way a professor is supposed to talk in a staterun college of agriculture. In an age of dry academic prose Kirk had panache; in an era of specialization, his learning was broad and deep. The Conservative Mind was thus more innovative than critics allowed. It was also funnier, livelier, better informed. No wonder he found the modern university, and the modern literary world, unwelcoming. He was too big, they too small; he too protean, they too neat. For all his erudition, Kirk did not fit the standard liberal arts college, a place full of conformist nonconformists, every opinion as standard as a shop-bought loaf of bread. Kirk was genuinely nonconformist, a scholarly one-off. Most selection committees would have thrown up their hands and raced for the door. What, then, to make of this singular man and book? What were his fixed principles, the ideas that make sense of the rest? This symposium examines some of them but let me suggest that, of them all, religion was most important. Faith, specifically the Christian faith, under-girded his conservatism, providing the foundation for other notions—property, order, respect for the law, family life—that filled out the rest of his philosophy. But there was nothing simple or straightforward about it. Religion operates variously throughout the book, sometimes providing a ground for moral confidence, sometimes for doubt, sometimes revealing man’s moral mastery, sometimes his depravity, sometimes opening to us the knowability of the world, sometimes locking us more deeply in its mystery. It was Kirk’s perfect metaphor, the idea that contained the totality of his mind. Yet this versatility could also be weakness. Sometimes he seems to ask too much of it. Subtle distinctions begin to seem more like discrepancies as Kirk struggled to contain the complexity of his own intellectual impulses. A man of faith, he was not simple-minded. This was as it should be. The perplexities in his piety, finally resolved, make it more persuasive as a philosophical and practical commitment. 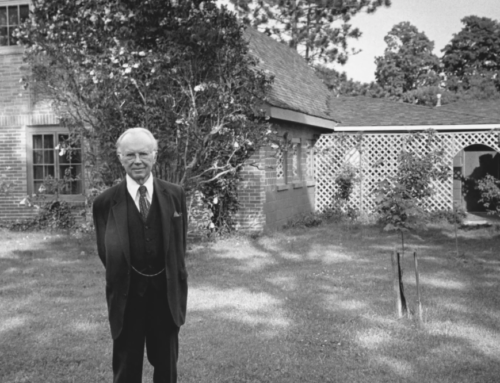 Therefore it was on no road to Damascus that Russell Kirk…came to believe in the Apostle’s Creed. His was an intellectual conversion, if conversion it may be called. After Kirk had read for years about ultimate questions, and reflected upon them, late in 1953 he obtained formal instruction in Catholic doctrine from…Father Hugh O’Neill. The learned priest was somewhat surprised to learn that Kirk’s reason for seeking him out was merely the yearning of intellectual curiosity: Kirk desired to have the principle dogmata explained to him, that he might truly understand…It was the intellectual love of God that worked upon Russell Kirk; he never became an enthusiast, but the doctors of the church persuaded him…Reading the [early] fathers, Augustine and Gregory and Ambrose especially, [he] gave up his previous spiritual individualism… “The calm judgment of the world is that those men cannot be good who, in any part of the world, cut themselves off from the rest of the world.” Therefore the Church had been raised up. There were but two paths—the way of faith and the way of unbelief, and as the latter led through the halfway house of Liberalism to Atheism, the former led through the half way house of Anglicanism to Catholicism. The logic of conversion was the logic of the church. Yet why did the fathers lead Kirk to Catholicism? At one level, it was because of the persuasiveness of their case. Religion was a fact, a reality, a truth not to be wished away. The Catholic form of it, he came to believe, was vindicated again and again by the calm judgment of the world. Religion formed societies and held them together, it gave shape to man’s deepest desires, it remained the one reality through time and space that seemed to express and explain the infinite variety of things. That was a powerful evidence of the truth of something. With Newman and Dawson, Kirk was led to Catholicism by the notion that all history, properly understood, points in the direction of the Church. Yet Kirk’s acceptance of the argument was rooted in something more than its intrinsic merit. At the risk of pyschologizing a philosophical commitment, his embrace of the Church had to do with its authoritativeness, its confidence, its splendid finality. When Rome spoke, the matter was over. There was a touch of Bossuet in his enthusiasm for a church that spoke language of unbendable conviction. In a disordered world, it represented order; in an age of chaos—in the chaos of every age—it remained serene. Catholicism for Kirk was not the question, it was the answer. “Jesus Christ will teach you, in His own words and in those of His apostles, all the things that make a state happy,” Bossuet proposed inPolitics Drawn from the Very Words of Holy Scripture. “His gospel makes men all the more fit to be good citizens on this earth in that it teaches them to make themselves thereby worthy to become citizens of Heaven.” Kirk admired and envied such certainties. The Rock of Ages was the rock of Peter. The typical Catholic layman resented prolonged tampering with the traditional liturgy; he was alarmed by the intrusion of radical doctrines into Catholic homilies; he disliked the awkward English of the new “priest’s Bible,” so inferior to translations previously employed. A few more years of “renewal,” it seemed to the Kirks early in the Seventies, would leave American Catholicism shattered to its foundations. The insight was prophetic. Mercifully he did not live to see more recent calamities. It would be easy to make a case, then, that, with Kirk, conservatism came first, Catholicism second. The value of faith—any faith—seems instrumental, a way of promoting harmony and discouraging dissent. He seems more interested in the contentments of religion than its contents, as if any transcendent tradition is to be preferred over atheism, agnosticism, or enlightenment rationalism. Perhaps so: but this represents a surprisingly frail and provisional allegiance for one convinced that the Church speaks with absolute authority in matters of divine truth. It prompts ancillary questions. What exactly is being conserved in his conservative Catholicism? What is so powerful about tradition that it requires such vigorous defense? Part of the answer lies in historical imagination. Kirk saw value in tradition precisely because it was traditional. Faith was handed down; it was made precious by the passage of time; it derived wisdom from the murmured prayers of the unforgotten dead. Somehow its very survival sanctified it. This is not a poor argument—quite the opposite—but it needs to be handled with care. A sense of the presence of the past, the dead not departed but at our side, is one of the most important truths of Christianity. Yet is also capable of misleading the unwary. It can bleed into a kind of cultural homesickness, into a too easy requiem for some vanished historical Eden. The Conservative Mind is shot through with this kind of regret. Kirk mourned the loss of “everything venerable in England, from open fires to church bells,” almost as if offering not only religion as cultural nostalgia but cultural nostalgia as religion, the past itself fetishized and made an object of worship. To be sure, there were good Christian and Tory grounds for this. Kirk thought one component of conservatism was veneration itself—a spirit of humility, simplicity, trust, modesty, self-restraint; all the things, in fact, missing in modernity. But sometimes the spirit of veneration can become detached from the object of veneration so that religion turns into religiosity, into vague, undogmatic spiritualism—all numinosity and no luminosity. This may serve a number of purposes but it is theologically unpersuasive. It seems to return Kirk to his childhood years, the son of wellmeaning social ethicists. Like Claudel’s Pierre, we still need the deeper foundations of that cathedral to help us mount to heaven. The spirit of veneration is important but it needs to be materialized. Otherwise it will keep us all in moral nonage. This difficulty needs to be faced. The charge of religious conditionality is surprisingly hard to shake. Strongly anti-utilitarian, Kirk seems to share the utilitarianism he reprobates in others, reducing religion to sacred glue holding together the secular order. The Conservative Mind, critical of the Benthamite view of man as embodied appetite, often presents religion as itself one of those appetites, a hunger whose satisfaction brings important benefits to the individual and the world. Again and again the language is of utility, of social value, of good consequences. One is reminded of those surveys that appear from time to time claiming that people of faith live longer, lead happier lives, fulfill the American dream—as if, somehow, the surest way of postponing the afterlife is to hope for it. Kirk had little time for that kind of blather. Sometimes, though, his praise of religion came uncomfortably close to it. Notice the description he offers of Alexis de Tocqueville in The Conservative Mind. Here was a man, he tells us, who “knew that a democratic people with religious faith will respect private rights and the portion of posterity far more reverently than a democratic people who have material success as their goal.” Or consider his Tory view of natural law: “the laws of nature, ordained by Divine wisdom, make no provision for sharing goods without regard for individual energies or merits…the true natural rights of men…are equal justice, security of labor and property, the amenities of civilized institutions, and the benefits of orderly society.” Or think of his belief that only “reverence toward God and toward the prescriptive ways of men” will save us from anarchy. Condemning radicals who treated society “as a simple contraption to be managed on mathematical lines,” he, too, tended to see religion as, in part, a form of social management. When the “spirit of veneration” is lost, “so much sinks with it.” “In the church I see not the mystery of the incarnation,” Napoleon once said, “but the mystery of the social order.” Kirk sometimes came uncomfortably close to the same idea. Poverty, brutality, and misfortune are indeed portions of the eternal order of things; sin is a terribly real and demonstrable fact, the consequence of our depravity, not of erring institutions; religion is the consolation for these ills, which can never be removed by legislation or revolution. Religious faith makes existence tolerable; ambition without pious restraint must end in failure, often involving in its ruin that beautiful reverence which solaces common men for the obscurity and poverty of their lot. Of all thinkers, and with obvious irony, this sounds closest to Marx, whose disparagement of religion as the opium of the masses was merely a variation on an earlier Benthamite or Burkean theme. True, there were important differences. Marx deployed a false anthropology (man as a mere materialist, no more than a getter and spender) to sustain a false teleology (history as a class struggle and an eventual proletarian triumph). He also relied on shaky methodology. Arguing that ideas derive intelligibility from the conditions they purport to explain, he fell into a circularity: religion is reducible to economic necessity—he seems to claim— because religion is reducible economic necessity. (Not only circular, the argument was also self-refuting. If systems of thought reflect contingencies of time and chance, ideas commanding no respect as things in themselves, why should Marxism be exempt from its own limitation?) Dismissing religion as the sacralizing of mundane necessities, Marx misunderstood those necessities— family, warmth, food, shared life—as constitutive of their own simple holiness. To begin by excluding the sacred was to end by discovering its absence. Kirk knew better. Insisting on religion’s integrity, its reality as a thing-in-itself, he saw its deeper truths revealed in the prosaic exigencies of ordinary life. His vision was more authentically human and more historically plausible. Still, puzzles demand solution and Kirk’s religion, in The Conservative Mind and elsewhere, remains a riddle. Is it possible to rescue him from a kind of spiritual Benthamism, an unduly instrumental account of faith? To do so requires the construction of a conservatism that upholds utility but not utilitarianism, one that sees usefulness not as a social engineer’s calculation but as part of a divinely ordered scheme. That in turn requires some account of Kirk’s core religious principles and the way in which they shaped his political thought. What were those principles? And how did he make the transition, philosophically, from soulcraft to statecraft? The Conservative Mind offers some clues. Unfortunately, he was not a systematic thinker: quite the opposite. His project was to unsettle systems, to destroy ideology, to show the dangers of theory removed from reality. The Conservative Mind conveys that distrust of system in form as well as content, the book being haphazard, quirky, and idiosyncratic: a series of selfcontained essays more than a monograph. That said, there is a spine holding the thing together. To be more precise, two central ideas form the backbone and it is to these we should now turn. The Greeks…started out with the idea of something splendidly obvious and direct: the idea that if a man walked straight ahead on the head road of reason and nature, he could come to no harm; especially if he was, as the Greek was, eminently enlightened and intelligent. And the case of the Greeks themselves is alone enough to illustrate the strange but certain fatality that attends upon this fallacy… The wisest men in the world set out to be natural; and the most unnatural thing in the world [the worship of the sun] is the very first thing they did…The truth is that people who worship health cannot remain healthy. When Man goes straight he goes crooked. When he follows his nose he manages somehow to put his nose out of joint; and that in accordance with something much deeper in human nature than nature-worshippers could ever understand. It was the discovery of that deeper thing…that constituted the conversion to Christianity. There is a bias in man like the bias in a bowl; and Christianity was the discovery of how to correct the bias and therefore hit the mark. There are many who will smile at the saying, but it is profoundly true to say that the glad good news brought by the Gospel was the news of original sin. For Kirk, too, to understand the fall was to see it, and not in any antinomian way, as a kind of liberation from self. “Original sin and aspiration toward the good are part of God’s design,” he wrote, one bound up with the other. Alone of doctrines, it made sense of the rest, replacing rationalist optimism, naive and fatuous, with Christian hope, humbly confident that the old Adam, sin, would be crushed by the new Adam, Christ. This was not to disparage rationality. Unlike Luther, Kirk did not think reason “the devil’s whore,” a seductive mistress. Reason-worship was the problem, not reason. Kirk resembled Michael Oakeshott (to give one example of many thinkers in the conservative anti-idealist tradition) in his hostility to rationalism untempered by empiricism. Liberal experimentalism unrestrained by history and tradition was doomed to fail. Forgetting flawed human nature, the reasonworshipper becomes a sort of fundamentalist of the mind, convinced that intellect alone holds the key to wisdom. Eager for certitude, for system, for procrustean neatness, he forecloses on the mysterious, the unknowable, the things on heaven and earth undreamt of in Horatio’s philosophy. The soul gets a dusty answer when hot for certainty—even religious certainty. To understand man’s first disobedience was to understand the boundaries, not the boundlessness, of the human capacity to know. This paradox—epistemological limitation as liberation—holds the first clue to the importance of religion for Kirk. The second is his understanding of history itself as the stage on which the story of sin and redemption is played out. History has meaning, intelligibility, but—precisely because we are limited in vision and wisdom—its truths do not yield themselves to easy apprehension. This, of course, is the central problem of faith. We look for the finger of God in history, Newman wrote, and we look in vain. How can we be sure to read the signs aright? How can we be sure they are signs? Why presume that history has lessons to teach of any kind, let alone Godly ones? These are troublesome questions and Kirk honestly admitted to difficulty in answering them. To read The Conservative Mind is to encounter an author in two minds about the prescriptive significance of the past. Indeed his attitude to history reveals a deeper dualism running through his thought, an uneasy balancing of the empirical and the idealist, the physical and the metaphysical. On the one hand, he was committed to history as descriptive of the distinctiveness and multifariousness of human experience. It chronicled the particular, the private, the unique, the unrepeatable, the contingent—in other words, precisely those realities that reveal man’s moral agency, his freedom to make and mold his own world. That gave it especial claim to respect, almost veneration. But to recognize uniqueness and unrepeatabilty is to make a dangerous bargain with history. It estops the very possibility of prescriptive and predictive lessons at the very moment when the past seems ready to teach them. If, as L.P. Hartley famously wrote, “the past is a foreign country— they do things differently there,” then history’s very historicity, its completed action, is the point. Its lesson is that there is no lesson. Kirk resisted such a notion but his belief in historical contingency pointed him, willy-nilly, in that direction. 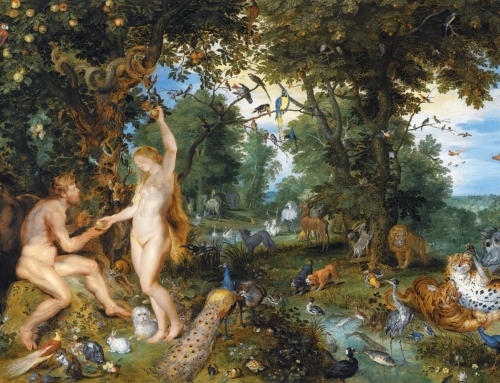 As with original sin, he intuited, history forces us to be humble, to abandon narcissistic presentism, to leave behind the search for novelty, to realize there is nothing new under the sun. A line of W.B. Yeats comes to mind. He, too, saw history as terrain radically different from our own, a closed, scarcely knowable world that demanded almost mystical— certainly non-rational—engagement. Once, looking over the landscape of Ireland, he thought of its peasantry as “a people, a community bound together by imaginative possessions, by stories and poems which have grown out of its own life, and by a past of great passion which can still awaken the heart to imaginative action.” Here was the world of mystery, local truth, private memory: the past made present but also closed off to outsiders. Kirk, too, understood history as the language of particular experience. To speak that past-centered language is to resist grand design, easy abstraction, overblown metaphysics. It is to prefer the customary, the conventional, the idiosyncratic—experience itself—as source of wisdom and mode of understanding. Claes Ryn has written recently that “ideological universalism that scorns historically formed societies is a potential source of unending war and great [disaster].” That is as good a summary as any of Kirk’s position. Humility is the key, hubris the danger. To know history is to know the limitation of knowledge itself. Yet this poses a problem. To prefer experience over theory, the real over the ideal, is all very well, but that preference must itself be cloaked in theory to become intelligible or persuasive. Even empiricists must make sense of sense; even they cannot presume it will make sense on its own. To deny abstraction is itself an abstraction; to reject historical laws amounts to historical law. Kirk saw the contradiction. Distrusting a priorism was for him an a priori position. To disparage ideology was his ideology. This seems to injure his enterprise from the beginning—his own form of original sin, as it were—rendering it incoherent and absurd. He seems to look in two directions, insisting on the pastness of the past—”they do things differently there”—yet also on the permanence of its truths. To propose the latter is to deny that history, precisely as history, has any lessons at all. The past simply becomes an earlier version of a truth already known, an illustration of some insight achieved by philosophy or theology, history as a catalogue of examples, not itself the source of wisdom. Kirk’s answer was to resort to a notion of unchanging human nature, of eternal verities providentially enfolded in the endless particularities of time. For all its suspicion of metaphysics, The Conservative Mind is a paean to providence, a song of praise to grand design. The thinkers Kirk admired reasoned their way to reason’s limits and sensed that sense alone made little sense. It is not an easy epistemology to carry off. Certainly the language of the book is loftily theodician. “History is the gradual revelation of a supreme design, often shadowy to our unblinking eyes, but subtle, resistless and beneficent…God makes history through the agency of man;” the “conservation of society [is] based upon the grand design of piety;” the “foundation of human welfare is Divine providence;” society “cures its own maladies, or effects its own adjustments, by a process at once natural and Providential;” a “divine intent rules society as well as conscience, forging an eternal chain of duty of right and wrong which links great and obscure, living and dead…Political problems at bottom, are religious and moral problems.” “Providence is the proper instrument for change, and the test of a statesman is his cognizance of the real tendency of providential social forces;” it “acts through the instincts and intuitions of our feeble flesh, [demonstrating] that religion and politics are inseparable, that the decay of one must produce the decay of the other.” Examples need not be multiplied. We are not mere individuals, each assertion seems to claim, but exist, rather, as participants in a set of divinely ordained associations—the family, the community, the nation, the state, the communion of saints itself—that remove us from our baser selves and make us more authentically human. The clamor of history, impossible to hear unless the soul be properly attuned to it, is not a cacophony but harmony, a soul-sweet sound.The Conservative Mind takes its stand with both the mess and the music of history. It is hard to overstate the importance of this vision in Kirk’s thinking. Later Augustinian writers—think of Luther in the sixteenth century or Bossuet in the seventeenth—saw the souldrama in Augustine’s notion of history but missed his subtle account of human, that is to say, historical, agency. Luther fell into the manichean trap Augustine avoided. His dualism is too dark, too dismissive of reason, too rooted in the Fall, too doubtful of the human capacity to build an earthly Jersualem. Bossuet went in the opposite direction: too confident in his own power to interpret the divine will, too certain that the heavenly city could be identified with precise historical epochs, too indifferent to human agency and historical contingency, too cheerful, too naive, too panglossian. Kirk avoided these dangers by reaching back to the source—Augustine’s denial that the heavenly city is linked with any particular era and his corollary assertion that every era, every historical moment, is shot through with divine as well as human significance. God’s encounter with Man exists in time and through time and defines time itself. In that sense, the point of the past is that it is not past. History is not completed action but living reality. “There are no dead,” Kirk liked to say: there are the merely departed. We are all full of ghosts, he quoted Lafcadio Hearn with approval in The Sword of Imagination: “all our emotions and thoughts and wishes, however changing and growing through the various seasons of life, are only compositions and recompositions of the sensations and desires of other folk, most of them dead people.” It was an admirably Augustinian insight. From Augustine, he derived the two pillars of his historical and moral imagination. The first was insistence on cosmic harmony, the key notion in Greek thought in the centuries before Christ, that was later appropriated and baptized by the Early Fathers in the centuries after. 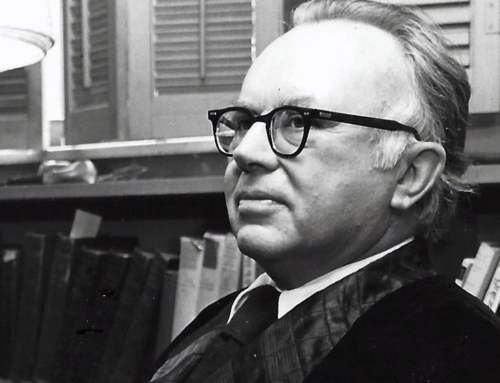 When Christopher Dawson described “Augustine’s profound sense of the aethetic beauty of order and [his] doctrine that even the evil and suffering of the world find their aesthetic justification in the universal harmony of creation” he could have been describing Russell Kirk. The second debt was to Augustine’s transformation of that ancient necessitarianism into a radically new commitment to human agency, to historical processes, to the possibility of human freedom within a theodician schema. It is precisely the latter that makes history possible: eternity enters time not to destroy but to transform it, to give it intelligibility, to make it mean something. To see the immutable in the mutable, the permanent in the impermanent: this is not to deny but to affirm the very solidity, the here-and-nowness, of history. The novelist Andrew Klavan makes the point well: “to be in this very moment as if it were forever is not to stop the work of life but to begin it afresh in celebration.” That gracious intrusion of eternity into time is precisely what time means. Society is immeasurably more than a political device. Knowing this, Burke endeavoured to convince his generation of the immense complexity of existence, the “mysterious incorporation of the human race.” If society is treated as a simple contraption to be managed on mathematical lines—the Jacobins and the Benthamites and most other radicals so regarded it—then man will be degraded into something much less than a partner in the immortal contract which unites the dead, the living, and those yet unborn, the bond between God and man. Order in this world is contingent upon order above. This was not the Napoleonic or Marxist notion of religion as nonsense for the natives. Kirk drew from Burke truths that Burke left unsaid, truths, perhaps, he did not recognize himself. Notice how he teases out incarnational implications from this “immortal contract.” Kirk recognized the patrisitic and medieval sources of Burke’s intuition that the very particularity of custom and tradition contain glimpses of the divine, that the historical, the local, and the contingent, without losing their uniqueness are part of design, that the natural law is a participation in divine life. Augustine and Aquinas were the true progenitors of Burke’s wisdom. Synthesizing Aristotle and Augustine, St. Thomas offered a theodicy that respected human freedom and creativity while accommodating them within a scheme that acknowledged structure, design and purpose. The natural and the supernatural are inseparable as experienced truths. In the order of the universe, he wrote in Summa Contra Gentiles, natural things tend to participate in divine goodness as their ultimate end according to their proper nature. To discover the proper place which man occupies in the order of nature, to reflect this order in the human soul, to find God’s intention in creating the world for man: that is the task of the philosopher, theologian, historian, of every man. “This, then, is the ultimate perfection to which, according to philosophers, a human soul can arrive,” he repeated in DeVeritate, “namely, that in it the whole order of the universe can be described with all its causes. In this also all men find their ultimate end, which will be realized in the vision of God.” Kirk took this as a motto. The scholastic schema of human freedom within divine order was foundational to his philosophy of history, his Christian Toryism, his understanding of society as communion of the living, the dead, the still to be born. He admired Burke but only because he was a Thomist. Burke’s natural right is the Ciceronian jus naturale, reinforced by Christian dogma and English common law…[For him], natural right is human custom conforming to Divine intent. He dislikes having to define it closely; natural right is an Idea comprehended only by the Divine intellect; precisely where it commences and terminates, we are no fit judges. To think that divine law could not operate without the sanction of our human legislation would be presumptuous. But so far as we can delineate the features of natural justice, it is the experience of mankind which supplies our knowledge of the Divine; and the experience of the species is taught to us not only through history, but through myth and fable, custom and prejudice… Natural law can enter our cognition only so far as it is embodied in social prescription or charter. The rest remains a sealed book to us. The source is Augustine through Aquinas. Eternity enters time and transforms it. God is manifest in the material, the sacramental, the down-to-earth. He is not outside history, directing its ends as an omnicompetent conductor. He is insidehistory as its very action and source. This is a key turn in the argument. As we have seen, the strongest objection to Kirk is that his veneration of the past, his respect for the prescriptive claims of tradition, is a kind of moral and cultural particularism, an elegant situation ethics that somehow tips the balance in favor of gentlemanly behavior. “What may be right on one occasion and for one man may be unjust folly for another man at a different time,” he has Burke claim, evidently approving the idea. On the face of it, this seems an alarming return to that self-limiting historicism that understands behavior solely by reference to time and place and thus explaining good and evil also explains it away. It seems to empty history of moral moment precisely by emphasizing the moment, not the morality. In fact, the argument does no such thing. To propose that “natural rights do not exist independent of circumstances” is not to provide sanctuary for the relativist: quite the contrary. To urge prudence in moral judgment is not to assert the plasticity of moral standards themselves. (Indeed it is to claim that prudence itself is one of those moral standards.) But Kirk’s point is not so much about natural rights as about the way we grasp them circumstantially. Circumstance is the tangible way we grasp intangible truth. We know goodness by doing good; we know joy by being joyful. The metaphysical, in other words, is not anti-physical, a denial of hereand- nowness. It is what the physical means. To understand incarnation is to understand that history, experience, and culture derive worth not because Christ empties them but because, emptying himself, he embraces them, revealing their true meaning by revealing himself through them and with them and in them. The Word was made flesh and dwelt amongst us. He is amongst us still. History is not over. It has hardly begun. Seen in this way, Kirk’s Toryism is radically deeper than a desire to hold on to the best of the past, some kind of nostalgia for a world rapidly passing from sight. Rather, its attachment to things—solid, tangible, sensible realities—is a commitment to other-worldly truths made present in the world as we know and grasp it today. Incarnation was at the heart of it. The conservative mind resisted system but it held fast to certain principles—the notion of divine providence, the importance of tradition and order, distrust of “sophisters and calculators,” the inseparability of property and freedom, hostility to rapid change, the belief that political problems were at bottom religious and moral problems— and these, for all their seeming grandeur, could only be grasped in modest, prosaic, quotidian ways. Material things matter. They matter because they speak spiritual truth. Tangible goods enshrine the intangible Good: property honestly earned and happily handed down; family life nurtured in shared sorrows and joys; trust bestowed in the shaking of hands; people hardy and independent while honorably reliant on others—parents, children, friends; local communities solving local problems, with the state not as a first but a last resort; history cherished in landscapes, churches, objects of beauty. All of society, all the doings of man, have sacramental significance. Kirk’s project was to bring that significance to bear on a generation who had either forgotten or never known it. Thus through a hundred winding ways, we emerge from shadows and types to reality. Long experience, intricate reasoning, even a false start or two, will build us our cathedral. A man who is wise will use it to mount to heaven. The debt to Newman transforms the book. No longer simply an expositor of patristic or scholastic thought, Kirk is now involved in an encounter with ideas that have shaped modernity— even post-modernity—in the last century or so. Consider the context. Newman wrote as nineteenth century science began to claim for itself an epistemological high-ground that excluded, as a matter of course, the subjectivity of the perceiver in favor of the objectivity of the world. Radically empirical, committed to verifiability, convinced that absolute reality may be made known to those who seek it, the scientist sought the extinction of the subject and, as one recent theologian has well described it, “the emergence of the objective world in its full splendor.” That agenda— more philosophical than scientific—was given heft in the early twentieth century by the likes of Carnap, Russell, Ayer and Wittgenstein, zealous positivists all. For the early Wittgenstein, a recent biographer has written, “as the self withdraws, the world in itself emerges. When subjectivity…vanishes into absolute privacy, reality remains in splendid objectivity.” But this quest for splendid objectivity did not last long. Logical positivism held only brief sway, soon to be challenged by thinkers such as Martin Heidegger who proposed that the subject remained a legitimate locus of philosophical inquiry. By mid-century, Heideggerian phenomenology offered a very different account of knowing, the perceiver now restored to something like centrality, perception itself understood as freighted with cultural, historical, personal significance. Objectivity, newly problematic, began to seem unattainable, even undesirable. To be sure, the epistemological naivete of scientism—hard fact as alone worthy of consideration— was sometimes replaced by historicism equally naïve, with writers such as Thomas Kuhn (for example) discovering, but then overemphasizing, non-scientific elements in scientific change. Still, Kuhn was typical of many in drawing attention to the multiple social and personal commitments embedded in scientific (and all other) accounts of the world. Of course, this was not without hazard. This legitimate and necessary return to subjectivity ran the danger of anti-rationalism—the possibility of any objective truth dismissed—and of solipsism—the perceiving self incapable of perceiving anything other than self-created worlds. That was a risk most mid-twentieth century phenomenologists were prepared to embrace. Perhaps this is too bald a summary of nineteenth and twentieth century philosophy. Still, it surely has a place in Kirk’s story. Newman was a strikingly modern thinker and, understanding him, Kirk was able to offer a newly persuasive account of history that appealed beyond the usual denominational or philosophical categories. History’s emphasis on the local, the finite, the culturally unique could now be seen as part of this new phenomenology of man. All our ways of knowing, caught up as they are in the complexity of the personal and the particular, the inescapable here-and-nowness of our lives, are not to be seen as forms of limitation but as radical apprehension of the variety, indeed of the infinitude, of things. It was a creative response to created order; a new way of perceiving the intelligibility of the world. Thus we approach the heart of the matter. William F. Buckley, Jr. has observed that Kirk disliked the term “conservative,” preferring to describe himself a “realist.” It was a good instinct, one that other conservatives should take to heart. But, realist or conservative, he was also curiously modern—modern enough to speak a language of signs and symbols, of culture and cult, of intuition and imagination, of reason’s power and reason’s limits. With him, an intellectual man of parts, Edmund Burke seems not so very far from Edmund Husserl, Froude closer than might be thought to Freud. Such versatility should silence his critics for a time. All the same, the modernism should not obliterate a deeper realism. He was a realist, yes, but what was the reality he claimed to know? It was partly—only partly—a Johnsonian insistence on the solidity of things. Realism has its small satisfactions—refuting Berkeley by stubbing at a stone, kicking at Kantians by refusing to penetrate their impenetrabilities. We should not willingly give up these pleasures. Nor, however, should we become addicted to them. Honest empiricism may keep our feet on the ground but without idealism, without some metaphysical principle, we would deny ourselves the sky above and the sun beyond. If Kirk held to solid things, he also held, more firmly, to the solidity of their meaning. Their deeper intelligibility had to do with order and freedom, without which conservative schemes—any human scheme, for that matter—may not survive. “Order, in society, is the harmonious arrangement of classes and functions which guards justice and obtains willing consent to law and ensures that we all shall be safe together,” he wrote in Redeeming the Time. Likewise, to assert “freedom as an absolute, somehow divorced from order, [is to] repudiate our heritage of practical liberty and expose ourselves to the peril of absolutism.” This was well said but it was not, for all that, very different from Bentham or Mill. The difference came from the source. Order was a thing altogether more compelling than harmonious social arrangements. “In the moral realm,” he wrote, “it is the realizing of a body of transcendent norms— indeed a hierarchy of norms and standards—which give purpose to existence and motive to conduct.” This existential purpose, to summon Aquinas once again, is to discern the place man occupies in the order of nature, to reflect this reality in the human soul, to find God’s intention in creating the world for man, and to live in accord with the divine will. Order and freedom were nothing less than manifestations of the life of God in the earthly life of man. This does not make God a Tory any more than it made non- Tories ungodly. Crude schemas of that sort are more Bossuet than Kirk. It is, however, to place his stout, sensible, empirical, system-resisting conservatism into a metaphysical mold without which it might have collapsed into cultural nostalgia or social snobbery. In manner and appearance Kirk was patrician but his head and heart were humble. So, too, The Conservative Mind. The book’s confident erudition is at the service of a more modest piety. Kirk’s theme is what happens when men try to do what they cannot do—what happens to them and their world when they come to believe themselves masters of a destiny they cannot control. That said, his own project could not have been more ambitious. Not a moral philosopher, still less a theologian, he attempted nevertheless a kind of theology of history in which he sought to explore, in time and through time, the meaning of time itself. That meaning—call it the purpose or the end of time—will become clear only at the end of time. In the meantime, we may discern, in ways obscure but not wholly invisible, the hidden hand of God. is not a new start, for we can only begin with what has happened. We owe the future the past, the long knowledgethat is the potency of time to come. That makes of a man’s grave a rich furrow. The community of knowing in common is the seed of our life in this place. There is not only no better possibility, there is no other, except for chaos and darkness, the terrible ground of the only possible new start. And so as the old die and the youngdepart, where shall a man go who keeps the memories of the dead, except home again, as one would go back after a burial, faithful to the fields, lest the dead die a second and more final death. Kirk, too, feared that second and more final death. He presumed, however, to offer an answer to it. The answer to death, of course, is life: life here, life now, life in the world to come; the life of the mind, the life of the heart, the life of the spirit; the corporate life of the living, the dead, the yet-to-be-born. For Kirk himself, it was a life richly lived—in Piety Hill, among books and family and the laughter of friends, fields and hills leading the eye to horizons beyond and histories behind. It was the life, in other words, of a man of faith and a man of God. For those who never knew him but who wish to have some share in it, and for those who seek participation in that greater life of which any man’s life is only a portion, The Conservative Mind is a good place to start. Books by this author may be found at The Imaginative Conservative Bookstore. Reprinted with the gracious permission of Political Science Reviewer (Vol. 35, Num. 1, Fall, 2006). 2. Russell Kirk, The Sword of Imagination: Memoirs of a Half century of Literary Conflict (Grand Rapids, MI: Eerdmans, 1995) 233. 4. Quoted in Christina Scott, A Historian and his World: A Life of Christopher Dawson (New Brunswick: Transaction Publishers, 1999) 63. 6. Jacques Bossuet, “Politics Drawn from the Very Words of Holy Scripture,” in Introduction to Contemporary Civilization in the West (New York: Columbia University Press, 1960) 874. 7. Paul Claudel, The Tidings Brought to Mary: L’Annonce Faite a Marie, trans. Wallace Fowlie (Chicago: Gateway Press, 1960) 17. 8. Russell Kirk, The Conservative Mind: From Burke to Eliot (Chicago: Regnery, 1953) 251. 9. Kirk, The Sword of Imagination, 275. 13. Kirk, The Conservative Mind, 335. 15. Ibid., 49. This is Kirk’s reading of his hero, Edmund Burke. 21. G.K. Chesterton, Saint Francis of Assisi (London: St. Hugh’s Press, 1944) 27–29. 22. Kirk, The Conservative Mind, 30. 23. Claes Ryn, America the Virtuous: Crisis of Democracy and the Quest for Empire (New Brunswick: Transaction, 2003) quoted in Paul Roberts, “A Recipe for Tyranny,” Times Literary Supplement, (January 2, 2004) p. 10. 24. Kirk, The Conservative Mind, 36. 31. Augustine of Hippo, quoted in Christopher Dawson, “St. Augustine and the City of God,” in Dawson, Dynamics of World History (Wilmington, DE: ISI Books, 2002) 325. 32. Kirk, The Sword of Imagination, 114. 34. “Two Lessons in why it is a wonderful life,” The Star- Ledger, (Newark, NJ: December 24, 2003). 35. Kirk, The Conservative Mind, 60. 36. See Andrew Woznicki, “The Christian Humanism and Adequate Personalism of Karol Wojtyla” in Pope John Paul IILecture Series, College of St. Thomas Centennial 1885–1985 (St. Paul, Minnesota: College of St. Thomas, 1985) 38. 38. Kirk, The Conservative Mind, 44. 41. Thomas Guarino, “Contemporary Theology and Scientific Rationality” in Studies in Religion/Sciences Religieuses22/3 (1993) 312. 42. Fergus Kerr, quoted ibid. 43. Russell Kirk, Redeeming the Time (Wilmington, DE: ISI Books, 1998) 33. 44. Wendell Berry, “At a Country Funeral” in Collected Poems 1957–1982 (New York: North Point Press, 1987) 159. Well, following the logic that any Christian that’s “deep in history” would necessarily end up in the Church of Rome is a bit of a paradox, isn’t it? Following that logic we’d all rather be Eastern Orthodox or Oriental Orthodox. Now, I’m a high-church leaning Lutheran, but has the patristic tradition of the early Church Fathers been forgotten? Why just Rome to the exclusion of Antioch, Constantinople and Alexandria? The Latin speaking part of the church (as opposed to the Greek) was until sometime between the Early and High Middle Ages only a relatively small part of Christendom inhabited mostly barbarian peoples that were barely semi-civilized at that point. It was in the Greeks-speaking east that coherent and elaborate Christian theology was first articulated and elaborated upon – which Augustine owes a great debt, not to forget how classical learning had not yet been restored in the Latin west but still prospered in Constantinople and the Greek-speaking world.